1. Magnesium and Vitamin C both support the alcohol dehydrogenase enzyme that breaks down alcohol and eliminates it from the body. 2. What can people do to support their livers after drinking alcohol? What is the best supplement a reader can take to support liver function? Magnesium, Vitamin C and Milk Thistle. 3. Is there any way to prevent alcohol’s absorption? Consumed with lots of food tends to slow down absorption, however, there is no known substance that can prevent absorption. 1. Alcohol depletes a broad range of vitamins, amino acids, fatty acids, enzymes, proteins and minerals from your body. The kingpin to this depletion is magnesium which is the anti-stress mineral that most people with a hangover are deficient in. This mineral regulates over 800 enzyme actions in the body. 2. Nutritional magnesium prevents platelet aggregation, which helps to avoid the thickened blood and tiny clots that can cause blood vessel spasms and the pain of a tension headache and hangover. 3. Magnesium relaxes the head and neck muscle tension that makes a hangover worse. 4. Magnesium, vitamin B2, B1 and the herb feverfew are an important hangover treatment combination. 5. Hypoglycemia – The brain becomes extremely vulnerable to excitotoxins during episodes of low blood sugar or hypoglycemia. Drinking excessive alcohol creates this vulnerability. Pound for pound, the brain uses more blood sugar than any other part of the body. Low blood sugar occurs when you are malnourished or even when you skip meals. It also occurs in individuals whose adrenal glands are depleted from drinking excessive alcohol and can’t mount the necessary adrenaline response to raise blood sugar when it gets too low. 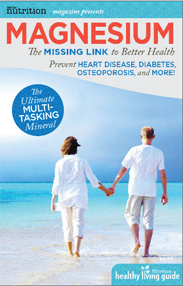 Magnesium is responsible for balancing blood sugar. 6. One of the most absorbable forms of nutritional magnesium is magnesium citrate powder which can be taken with hot or cold water and can be found in most health food or vitamin stores. Here are some additional ways to feel like yourself again.